Question: when does ‘vintage’ and ‘homespun’ not mean quilts and tea cosies? In this haunting tale of evil in wartime rural America. A tale of lies and truth and hard times. Of friendship, which counts most when it costs most. Of standing up for right – and getting it all wrong. Darkness, love and light. 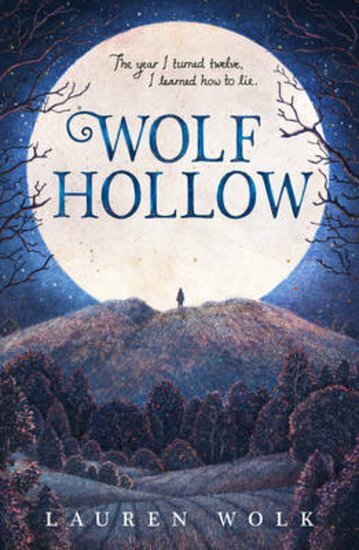 Annabelle has lived in Wolf Hollow all her life. It’s a quiet place, scarred by two world wars. But when cruel, tricksy Betty rocks up into town, the town’s calm world is violently smashed apart. Toby is a gentle loner: a traumatised ex-soldier. There’s no way he could have done anything bad. But now Betty has vanished – and everyone blames Toby. Can Annabelle save him?